Yes, I admit I'm a challenge addict. Yes, I admit that I sometimes fail challenges. Yes, I'm nuts. Anyway, here are a few more that I'm signing up for. 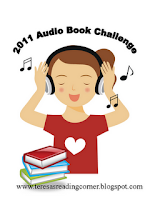 The 2011 Audiobook Challenge is hosted by Teresa's Reading Corner. You knew I had to enter this one, didn't you? I'm committing to 12 audiobooks for the challenge, which is the addicted level. 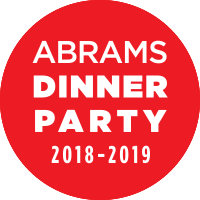 Please check out the sign-up post for more information. 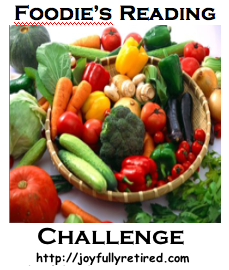 I'm so excited about the Foodie's Challenge, hosted by Margot from Joyfully Retired. The challenge has a dedicated blog, where you can sign-up and learn more about the challenge. I'm in for the gourmet level. 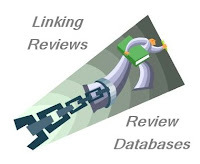 Qualifying books include everything from foodie novels to nonfiction to cookbooks. Amy from My Friend Amy is hosting the third annual, Buy One Book and Read It challenge. As always, I'm committing to 12 books, but you can join this challenge on the one-book level if you want. Check out the sign-up post. I'm happy to see that Carrie from Books and Movies is hosting the Ireland Reading Challenge again. I discovered some great books in this year's challenge and can't wait to see what I find for 2011. I'm going for the Luck o' the Irish Level. Read the sign-up post and join in. I'm kind of hoping no other challenges catch my eye, but I'll likely find one or two more that I can't resist. Oh you have tempted me to already break my resolution of one challenge for next year, and it isn't even New Year's Day, lol. That foodie challenge is a hard one for me to resist. I'm off to check it out now. I already broke my promise (no challenges in 2011) as I see about 5 I MUST join....LOL (you are not alone). It IS a challenge to say no, but I am. When I looked through the challenges I participated in for 2010, most of them were gimmes (audiobooks? library? e-books?) and not really challenges at all. So far the only thing I'm doing is The Dare so maybe I can just focus on what I have...that pile that just keeps getting bigger! Good luck on these. I know you will kick them to the curb! The Foodie challenge looks tailor made for you! Enjoy it and have fun. Thanks for the heads up on the Ireland challenge- didn't even know there was one. Doesn't the Foodie challenge look fabulous? I guess food books are my guilty pleasure--well, not very guilty! Good challenges you have signed up for. PS-I have a giveaway for a book on Paris. I'm so glad you're joining us for the Ireland Challenge! Thank you for joining the Audio Book Challenge! I think its going to be a lot of fun. I'm hoping to get some great stuff lined up through out the year. I know! I am tempted by the Foodie's Challenge. The others I am signed up for. I am also considering the Irish challenge, but I am quite good at saying no - I think. Great challenges. I've signed up for Margot's Foodie Challenge. I think I have to check out the rest, they all sound good. I feel downright guilty when I do not finish a challenge and this happens for me but the foodie one intrigues me. I think I'm going to have to do the foodie challenge too! Good luck! Just when I thought I was done with Challenges -- but you've hooked me with the Foodie Challenge -- heading over to Margot's now! This year we're switching roles and you're going challenge crazy. Me, I'm sticking with 5, not including the one I'm hosting. 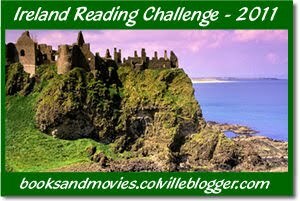 I'm also doing Carrie's Ireland challenge again. Fun. Fun. You'd be proud of me, I'm actually listening to a audio book in the car - chopin's manuscript. I'm so glad you are a part of the Foodie challenge. It's going to be a good year. Good luck on all your challenges. and some other - like your What's in a Name challenge lol! I'm a challenge addict too and I'll definitely be signing up for the first two! I really don't get the challenge thing, the attraction. Have never done one..most likely never will..but good luck to you! Michelle: Ha! YOu know me too well. You're as bad as me! I can't stop signing up for reading challenges either. I'll be joining you with the audio book challenge too. Oh gosh. You already told me about Foodie, but I didn't know about Audiobook! Must write another challenge post. That makes four 2011 challenges for now, so I'm keeping the lid on the challenge bucket from now on! I hope.